I'm not usually a fan of "cute". 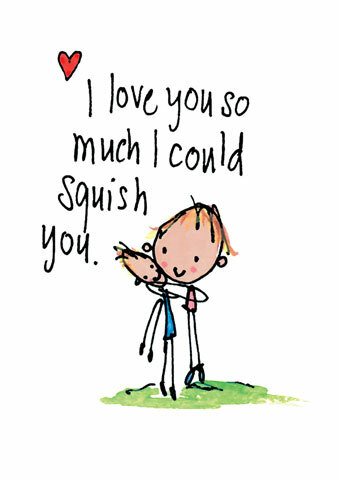 But when John gave me one of these cards last year, instead of wanting to gag, I cooed over its adorableness. Juicy Lucy Designs is a (primarily) greeting card company based in Wales (read their "About Us" page - it's ... so cute) but their cards and products are sold in Paperchase and other fine stationery stores across the UK. I'm especially a fan of their "Love & Naughty" card range, which mixes Lucy's innocent drawings with some not-so-innocent messages - most of which are too naughty for me to mention here. It's this delightful combination that catches you completely by surprise and makes it impossible for you not to fall in love with Juicy Lucy Designs (ugh, I sound like a walking commercial. But I can't help waxing lyrical about things I love and hating on things I hate. I only work in extremes). If you're in the mood for a card for your friend, best friend (yes, there's a difference), significant other, or even dad - yes, I said dad - try out Juicy Lucy Designs. They're not for everyone, but I'm pretty sure you'll be smitten at first glance.